The story tells the legend of the QingLuan mirror and Lican sword, which is said to be able to reunite the country when possessed by the owner. These items were once formerly owned by the Dragon Sect and are now lost. Before the demise of the Dragon Sect leader, the information regarding the location of these heirlooms, is handed down to the only remaining maiden: Yuan Qiao Suo. She is told by her master that she is not to give away the location to anyone as it could end up in the wrong hands and bring about chaos. Upon the death of her master, she goes in search of the lost mirror and sword, under the disguise of the high official from Northern Zhou Court Si Kong's wife's niece. 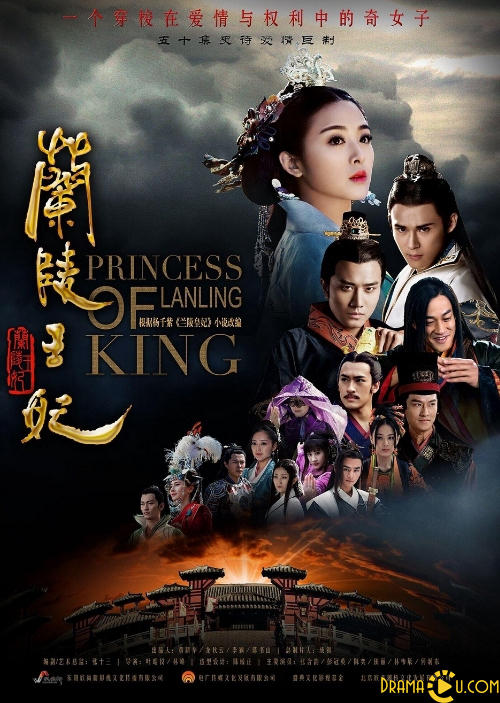 During her journey, she comes across the Prince Gao Chang Gong (a.k.a Prince of Orchid Hills) and Yu Wen Yong. Her romance blooms with both and she must choose who to help and who to love. ~~ Based on the internet novel 'The Royal Prince of Orchid Hills'.